As I recently started helping out with Enderal's PR (especially on ModDB) I thought about making a thread in this forum, as there is undoubtly a fanbase here but no place where to discuss and ask questions about it. Enderal is an upcoming Total Conversion (TC) for The Elder Scrolls: Skyrim in development by the team of SureAI, the same team which did TCs and mods for other Bethesda games, such as Nehrim: At Fate's Edge for Oblivion or Arktwend: The Forgotten Realm and Myar Aranath: Relic of Kallidar for Morrowind. The devs of SureAI once said that they aim for Enderal to be a story for adults - often dirty and harsh, yet nice and forgiving at other times. Something like pornobabes or the muscle-brained warrior won't exist in it. 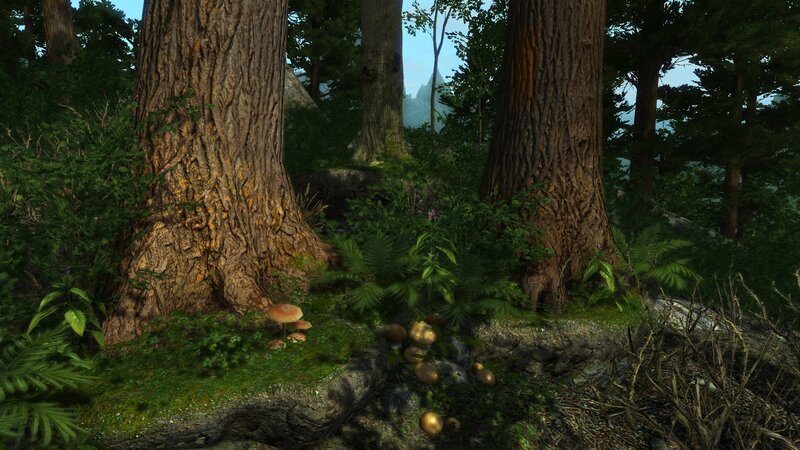 A TC is basically a new game based on the engine of another game; in Enderal's case the Skyrim/Creation engine was used to make a new RPG with its own land, story, NPCs, quests and some new gameplay elements. Instead of making this similar to a compilation of available information (turning this into an unreadable messwall of text) I'd rather have you asking me questions about it which I will try to answer if I can/am allowed to ;-). #1 The release date: As always with non-commercial projects it is hard to give an ETA - currently the development is in its last phase and the translation/localization is in full swing. The end of the 1st quarter of 2016 is not impossible, though an exact release day or even month remains to be seen and won't be announced until the SureAI team is sure of that date. 1. Enderal's 2014 Trailer - it shows you the superficial side of Enderal's story, the thing you would see as a summary in a news site or something similar. 2. The "Ashes" story teaser of 2013 - this one dives deeper into the story and sets its tone. 3. Not a video but a book, called "The Butcher of Ark" - this book is written by Nicolas Lietzau/latiro, who is also responsible for Enderal's story writing and it further shows the tone of Enderal's story and world. Last edited by Caleb; January 12th, 2016 at 00:35. My only question is can I have it now , I have been following it now for the last two years. Well I am waiting for it since Project 5 was announced - which was shortly before Skyrim was released. The wait was long but now a release seems to be rather close (as in just some more months). Congratulations to the whole Enderal team for the excellent work being done. Enderal is really a very professional, well-developed project. a) Enderal's web page says it will feature, among others, survival mechanics. What exactly survival mechanics you're talking about ? Could you be more specific ? b) The exsperience points will be more like Nehrim (gaining xp after combat, completing quests, etc) ? Thank you, I'll be sure to convey this. a) Survival in Enderal is not Frostfall or Realistic Needs - the reason survival exists in Enderal is not purely realism but stems more from actual gameplay reasons. In Enderal just like in Nehrim potions heal over time instead of instantly, this already means you can't stack many potions to heal you up from rock bottom in a fight. Enderal further punishes potions/healing spell spamming by introducing a new attribute called "Arcane Fever". This fever raises whenever you cast a healing spell on yourself/drink a potion or by staying in magically contaminated areas (similar to radiation in Fallout); once it reaches 100% (its unit is %) you die. Problem is that the only way to lower the fever is by taking Ambrosia which is turn is very expensive. I guess you already know about Enderal's class system, hence I'll skip the explanation but if you play a healing mage you will be able to get skills which lower the amount of fever you will get from one spell/potion, hence making healing more cost-effiecent. Another way to lower the cost is by becoming a good alchemist as those can brew their own Ambrosia - beware though that because of the strict limit of skill points you have in Enderal taking both ways at once will end in you being unable to fight well On the other hand being a strong close-quarters fighter results in very high costs for Ambrosia. It is a complex system which was hard to balance and is just as hard to explain in all of its facetes. b)Yep, though there were new ways added to get experience points: by talking much about Enderal with its inhabitants you will get points, also reading many books results in the same. Last edited by Caleb; January 12th, 2016 at 16:07. Such a noob question. Sorry. I have completed skyrim on the ps3, but to play this I would need a copy on pc. Yes. I have never modded anything in my life. Will it work with a steam copy or does it require a disc. Is it hard to set up or is it just click an icon and go go go? 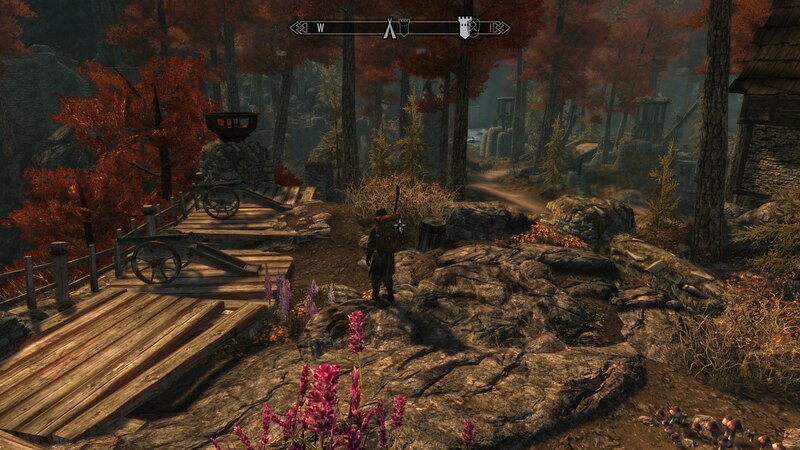 I would love to ask about optimization and performance compared to Vanilla Skyrim (or maybe better to 'vanilla' modded Skyrim with HD Pack and some graphical mods, etc…). I played Nehrim and it was far, far more demanding than even heavily modded Oblivion. Is this a case here too? Lets say that i can run Skyrim in 40 fps+ on max with mods… will i be able to play Enderal with the same machine and with decent settings? Have you optimized mod for older machines? I have AMD FX-4100 (4x4000Mhz) 8 GB RAM and GTX 560Ti 1GB. Skyrim runs awesome on max with mods but im afraid (i still have Nerhrim in memory) that i will not be able to play Enderal. Can you give me some info maybe? "There is grandeur in this view of life, having been originally breathed into a few forms or into one. And that whilst this planet has gone cycling on according to the fixed law of gravity, from so simple a beginning endless forms most beautiful and most wonderful have been, and are being, evolved." Yeah it will work with a steam copy, you won't need a disc - also you will only need Skyrim, no DLCs required. This means your graphics card is good enough to run Enderal on high without AA or on slightly lower settings with AA. Just the CPU could get a bottle-neck - but if you lower the settings for playing with AA (which I recommend) it should be doable Obviously some fine-tuning is required there but you should be able to play at least on medium settings with 40+ FPS - if you take your time to test it should work with higher settings as well, just not everything max. SureAI really tried to get the maximum performance out of Enderal while still adding much clutter and new textures in the world. a) Since Enderal will bring its own set of graphic assets, what will be the new texture resolution (vanilla is 512x512, IIRC) ? How about sound effects, will Enderal reuse them from vanilla Skyrim ? b) How about the UI that Enderal will feature ? The same one from vanilla Skyrim ? c) Are you planning to do other language localizations for Enderal ? Not even text/subtitle localizations (without VO, as I know VO is far more expensive and time-consuming) ? d) Let's suppose (just a supposition ) I wanna apply (for free) to make some text/subtitle localization in a language other than English/German. Since I am no modder, could I still apply to ? Would I need a mod knowledge or another specific knowledge to do that ? This is what i wanted to hear. Thanks Caleb! Now just release it! How big is Enderal? Compared to Nehrim. Both content wise and landamass size. I think Nehrim was BIG. 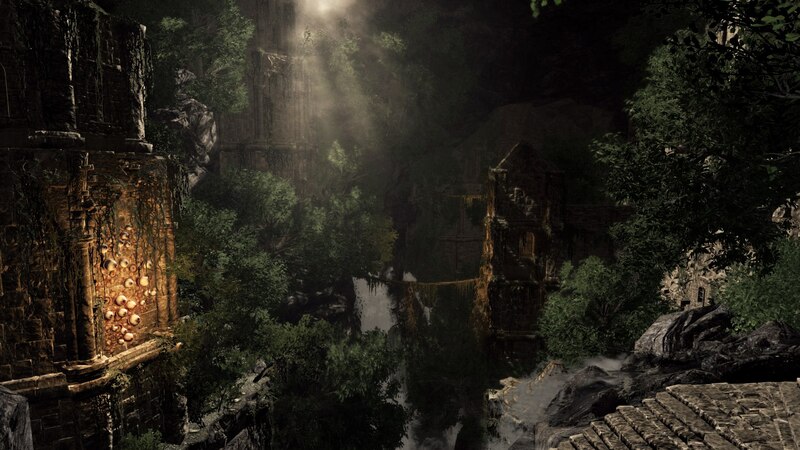 Is everything still so masterfully handcrafted when it comes to world and location designs? Some places from Nehrim are very well designed and they have this mystical atmosphere of ancient, forgotten places shorouded with mystery. Skyrim for example and Oblivion lacks this. Some nice questions you have there and don't worry answering them is part of my help and job. #1 The amount of detail in Enderal is so high that the constant use of 4k textures would result in a Nehrim 2.0 in terms of performance. #2 4k textures for everything is nonsense in itself - a small bush looks with 1k textures nearly the same as with 4k ones, unless you zoom in greatly. Its base it uses SkyUI, which is part of Enderal. itself is medium on the difficulty scale: You need to translate the books, subtitles and menus - this is the easy (as in technically easy) part. The harder part is doing the so-called string-files. Skyrim unlike Oblivion doesn't use translated .esp+.esm files but instead these string files. These are special text-files which basically assign each dialogue and menue text ingame a corresponding translation into the language you want to translate. (you can think of a chart which has 3 columns: an Unique ID for each text you want to translate, the text in its original language and 3rd the translated text. 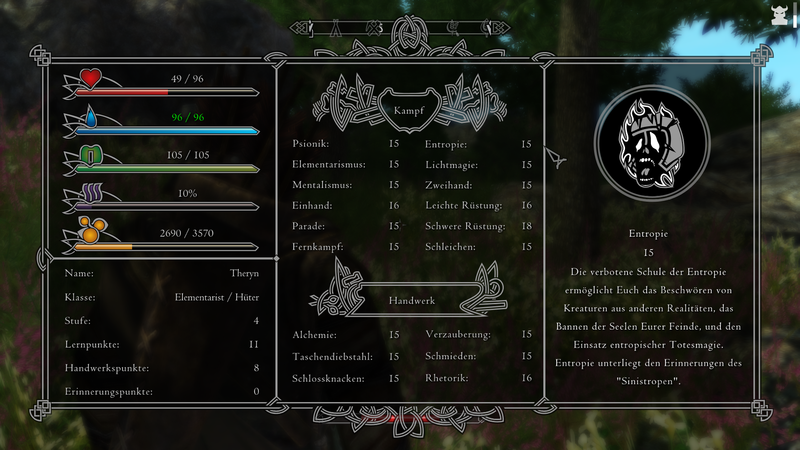 When if you start e. g. the german version of Skyrim, it loads the german string files which assign the german texts to their english version and are responsible for replacing them. Making string-files themselves actually isn't that hard (the explanation is harder to do than the actual deed XD) as you can use some user-made programs for that, e. g. the TESVTranslator . Last edited by Caleb; January 12th, 2016 at 19:22. In general Enderal has around 75% of the landmass of Skyrim - if you compare it to Nehrim it is a bit bigger. Also the main story of Nehrim had a length of around 20-25 hours, Enderal's has at least 30-35. Oh my this looks awesome. Srsly… nehrim was good, really good. Maybe even GOTY material but this looks even better. Last question. Can you elarorate a little about itemization and crafting? Will some magical effects/affixes will be added to itemization for more variety? How will crafting work? Like in Skyrim? Alchemy will be expanded? Will there be enchanting/spellmaking? soulcapturing? Or all of this is removed due to we not in Tamriel? Will items be mostly static or mostly randomly generated? Will there be unique named items? What with staple of TES series… artifacts? Will there be some replacement for it and deadric quests (that usually have them as a rewards? Thanks and i promise its last one Im hyped enough now. Ok, so one thing leads to another: then would still be possible to translate all voiced-over dialogues OR just the static texts (text from menus, books, skill names, skill descriptions, etc)? I know translating everything would be a damn-hard job, near impossible to do it alone, as you've said yourself, but my real question is: if (big, enormous IF) I were to translate all voiced-over dialogue would I need authorization from SureAI team ? Would I need some piece of source code containing such "string-files" OR will they be available as soon as we download the mod (after release date, obviously) ? Regarding in-game books: what will be their function ? Just in-game lore ? Will they also improve stats ? Most important to me (even more important than stat-improving): will some of them contain hidden hints or reveal valuable quests when we read them ? PS: Before I forget: will there be a quest-compass or whatever it is called ? Can it be disabled/enabled from menu ? How will crafting work? Like in Skyrim? Spellmaking no, as that is incredibly hard to balance and neither Morrowind nor Oblivion managed to do so, so they wash their hands free of that. Will there be unique named items? Yes to all of these, though OP is hard to define. As enemies won't scale with you in Enderal weapons from enemies way above your level are OP against all "low"-level chaff. As for the unique items - at the end of nearly every dungeon you will fight against a dungeon boss - these are higher leveled and always have some special stuff with them; be it strong weapons, a blueprint or parts of armor sets. What with staple of TES series… artifacts? Will there be some replacement for it and deadric quests (that usually have them as a rewards? BTW: This doesn't mean that demons don't exist in Vyn - Nehrim e. g. had a very active underground demonic cult which sacrificed humans everywhere. Well the string-files come with the mod, after all it needs them to localize it - but you won't need any program to extract them or sth, they are in your Skyrim/Enderal folder. Where exactly I can't tell you yet as nothing is finished in that regard - Skyrim's string files are in Skyrim/Data/Strings - this means they should be located at Enderal/Data/Strings later. Books are there for lore (in turn for gaining experience), for investing skill points (Enderal doesn't have learning-by-doing like Skyrim instead like in Gothic you earn skill points with each lvl-up which you can invest in your skills by paying gold to skill trainers or by reading certain books) - and yes they WILL contain hidden secrets and also sidequests. If you read what I posted in the newsbit about this thread here concerning the skill system - in the last paragraph I wrote that you need to find out which talents are affine to each other by traveling the world, one way to find them is by reading books ;-). But these are just some of the things you can find. There will be less quest markers in Enderal than in Skyrim and even if they are there they usually only point at the dungeon, cave, ruin, etc. you need to go - not at your specific quest target. The only times you will have concrete markers is when trying to find a normal inhabitant of a city for a quest. Reason being that Enderal uses more complex daily routines and that Ark, the main city of Enderal, is simply too big. While doing the main quest of Enderal you will meet 2 comrades - Jespar and Calia - who will aid you. These followers are a bit special as they only stay with you while you are doing the main quest - you can't take them with you while exploring. Reason being that they are humans just like you and they don't have the time to follow you around everywhere - both Jespar and Calia are no mere puppets following you, they will give you advice and have their own motives and moral values. Whether you take their advice to heart or not and how you interact with them while doing main quests and between them (they won't just vanish after doing these, you can still talk with them and both also have their own side quests - 6 each to be precise) will affect how they see you. In the end though the romance is 100% optional, you can also just build a good friendship or even antipathy with them. After completing the main quest, can we still continue playing and doing the remanescent quests ? Or will be endgame, roll credits and bye-bye ? No, the ending of the main quest is the ending of Enderal Don't worry though, it is obvious when you reach that point so that you can go back and do sidequests/exploring/etc. before finishing it. Inventory management and orders are the same as vanilla - that I know. Last edited by Caleb; January 14th, 2016 at 17:52.